← [Fashion Show] Christmas fairy : green, red and gold ! For those of you who love Christmas and its atmosphere, our team offers to play again past quests around this celebration ! Here is your chance to play or replay the Xmas quests from 2011, 2012 and 2015. Christmas without Santa is not a real Christmas! Unfortunately, it seems he was kidnapped. You need to begin your investigation: will you manage to save Christmas? 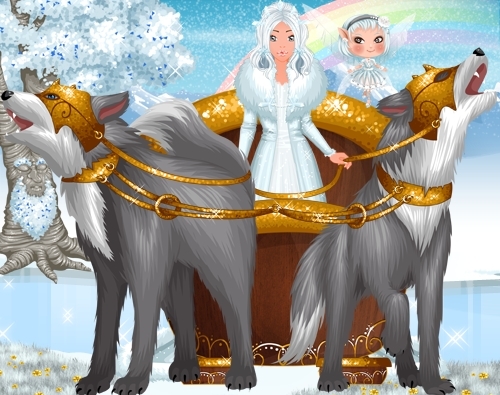 Find the elves, Mother Christmas and Arnaud in the village of Santa Claus and win lots of gifts. And an amazing surprise awaits you if you complete the quest: A small robot that will give you lots of gifts for several days, until it is broken. Explore an extraordinary universe through the most incredible tales and legends known. Throughout this quest, you can obtain the Christmas room (or its extension if you already own the room). A mysterious and strange gift awaits you at the foot of your tree … But that contains this mysterious package? Discover a fantastic Christmas story, full of magic and dream! An exciting adventure in Toyland! Another great gift also awaits you if you complete the quest: Whatever the chosen end, you will gain access to all 15-day temporary shops in the game ! If you complete the two ends, that is an access of 30 days you will earn to enjoy temporary shops will for your shopping! The stores linked to the quests will be open during the whole event ! You can replay these quests until Sunday at 11.59pm (Paris time).